The wines may be tasted at Gabrielle Collection taste+, open daily 10:30 to 6:00- hours can be extended by appointment. Appointments for the 5+5 and 6+6 food and wine paired tastings highly recommended. 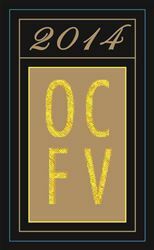 O'Connell Family Vineyards- The OCFV Estate Cabernet Sauvignon. Highly rated and allocated. It reflcts the distinctive estate terroir. A wine collector's favorite. Gabrielle Collection- a collection of signature Cabernet Sauvignons crafted by Vintner Gabrielle Leonhard O'Connell. She has a deep history in the wine world- her mother was a wine chemist in France, her grandfather a food & wine critic, writer and publisher in Europe. Influenced by classic Bordeaux wines, her style reflects the varietal character and soils of the vineyard and appellation. Pietro Family Cellars- these wines reflect Wayne O'Connell's grandfather Pietro, who came from a winemaking family in Italy, then planted and vineyard in California in 1906. He brought the family brand back in 2006 with Chardonnay, Red Blends, Sauvignon Blanc and Pinot Noir. CE Cellars- founded by the next generation of the O'Connell Family, Preston O'Connell created wines geared to the causal entertaining lifestyle of the Millenniums. The wines can be tasted at Gabrielle Collection taste+ at 1000 Main St located at the foot of the First St. Bridge, Napa, Ca. In the heart of Downtown Napa Entertainment District at 1000 Main St, an exclusive, intimate urban food and wine experience awaits you. Our chef creates palate teasing bites inspired by and paired with O’Connell Family Wines. Gabrielle Collection taste + offers delicious wines + exclusive estate GC Napa Valley products for those who, love to cook, want to maintain a healthy home, pamper their pooch, and indulge in lavender spa moments. The product’s core ingredients are grown at our certified organic gardens at the O’Connell Family Vineyard Estate, and embody the lifestyle of wine country living rooted in the vineyard. Our goal is to create an experience so wonderful, our guests can’t wait to return. We look forward to welcoming you! Music in Tasting Room: The Bistro style music enhances our fun-loving atmosphere where guests gather at natural wood tables hand made from eucalyptus harvested from the estate. View from Tasting Room: By the Napa River First Street Bridge. Riverside Patio is opening mid 2018. Wine Education: Our tastings hosts love to share the distinctive nature of our estate vineyard and how it translates into the wine characteristics. The vineyard dates to 1850's, when it was named the best vineyard land in California. Food Available: Our Vineyard Farm to Table Food & Wine Tasting Experiences center around tasty food bites: select Gourmet Popcorn, Organic Chocolate, 5 bites+5 wines, or VIP 6+6 including a lunch option. All tasting included Olive Oil and infused Sea Salt flights. To join the wine club, visit www.oconnellfamilywines.com or call 707-815-0364. Decanter Society membership provides online access to winery exclusive wines and special allocation of hard to find wines. We offer a 2 for 1 Gourmet Popcorn or Chocolate paired tasting at Gabrielle Collction taste+ located in downtown Napa. We also have special tastings and wine offerings for holidays or special events for locals.